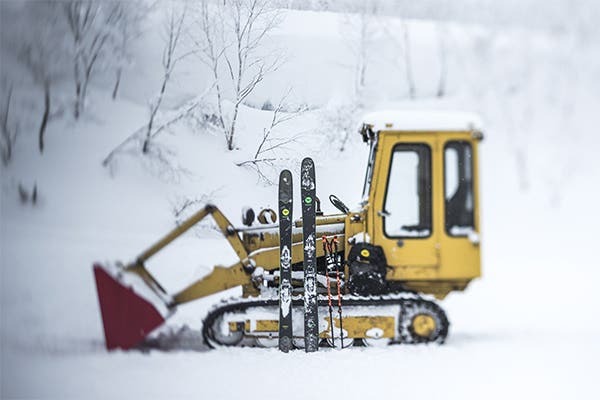 OPENING A NEW PLAYGROUND FOR SKIERS WITH OUR NEW OFF-PISTE COLLECTION. Since 1907, our taste for adventure and exploration has led us to go beyond our limits while respecting our legacy of technical innovation and avant-garde design. With inspiration coming from our racing background, we decided to pursue our passion beyond the slopes and head off-piste. Our challenge: confronting our secular know-how with extreme conditions. What drives us every day? A virgin summit, the first ski track in the morning or an improvised path between the snowy pines. 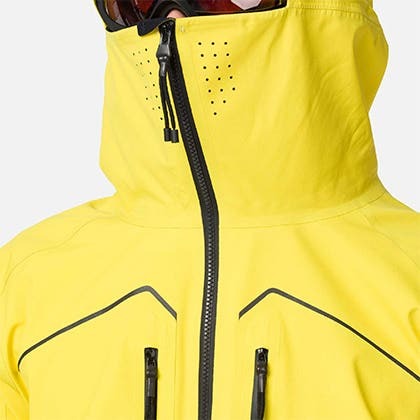 A HARDSHELL DESIGNED, DEVELOPED AND PRODUCED IN THE FRENCH ALPS. Mixing craftsmanship and innovation, the Atelier S products could not have been conceived without a unique know-how and a meticulous manufacturing method. 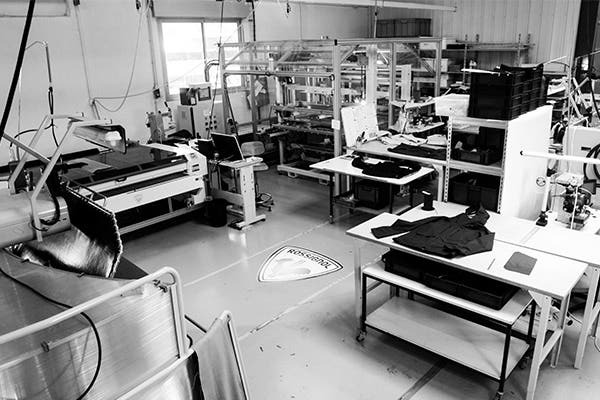 By using only first-class quality fabrics and handmade way of producing, we created trusted highly technical products to enjoy skiing in all conditions. A DESIGN BASED ON ART AND SCIENCE. We aimed to create an aesthetic, modern and minimalist silhouette along with technical and practical features. High collar, front pockets, laser-cut orifices, long shape and a perfect cut. Rawer, darker and minimized colors coming from freeride. A GREAT FUNCTIONALITY LEADING TO UNMATCHED PERFORMANCES. An audacious and innovative seamless construction for the best waterproofness and breathability, chosen especially for intense skiing. Lighter fabrics guaranteeing freedom of movements. 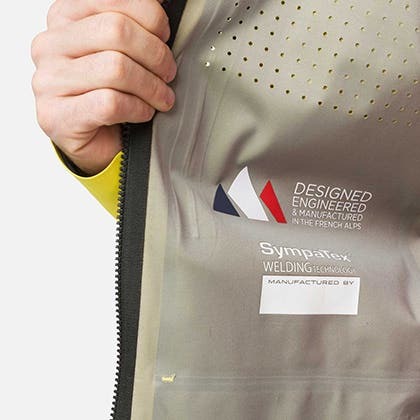 The choice of the SympaTex® membrane was obvious. This environmentally friendly membrane guarantees a perfect waterproofness up to 45.000 mm and a high-level of breathability (45.000 mm /m3 /24h). Stretching up to 300%, it is flexible and resistent.